The Yashica 52mm Multi-coated UV Filter absorbs ultra-violet rays without increase of exposure, thereby preventing haziness and foggy effects in distant landscapes. It creates clearness in black and white films and prevents bluish tones in color films. 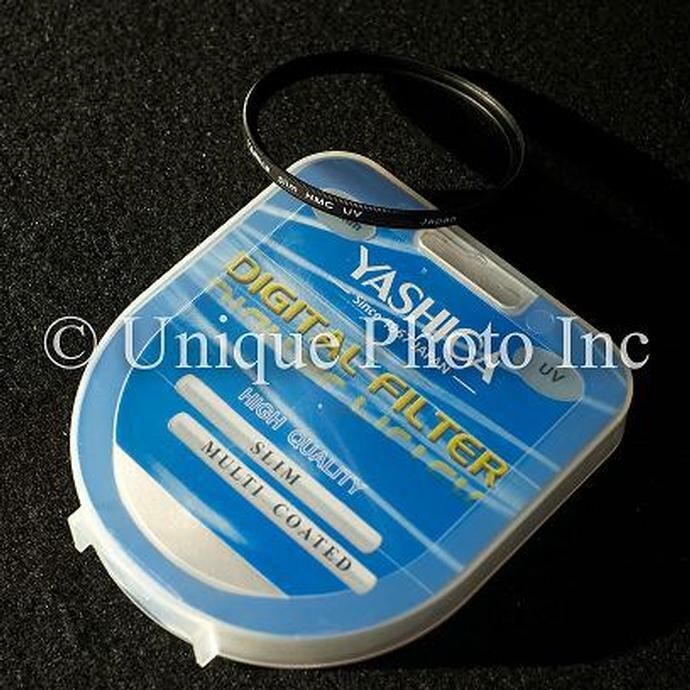 Constant use of this filter is recommended for clearer pictures as well as for a lens protector. The type of filter for a lens. Filters can be screwed on the front element or dropped in for larger zoom lens. A series of optical coatings that are on a lens/filter that help reduce the impact of reflections. The result is a higher transmission percentage of light. All modern lenses are multi-coated. This is the construction of a type of filter. The type of process used to create a filter can affect its price. Filters can be constructed out of regular glass that sandwiches a coloured gel in between or in high-end filters, raw elements are added to the molten optical glass so there is no risk of uneven colour or fading. Almost every modern lens has a filter ring/thread on it for a UV filter. Filter Diameter refers to the size (diameter) of the front ring. There are several common sizes.